Big changes are coming to Google Adwords, and digital marketers should know what to expect during this latest wave of updates. To be fair, Google teased their new AdWords Experience months ago. 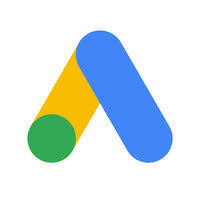 But now, the time is drawing nearer when several new changes to Google Adwords will soon take shape. Let’s examine what these new features and changes look like, how they might affect your digital marketing strategy, and how you can prepare for them. This change isn’t exactly breaking news, but it can create confusion if you’re managing your own Google PPC campaigns. When you log into your Google dashboard, your Google AdWords will be replaced with Google Ads. You’re in the right place – only the name has changed. It’s not entirely surprising. Google now offers advertising solutions across a broad range of outlets, including in-app, display, video, map, and more. The new moniker is designed to encompass all of Google’s advertising solutions. Along with the name change comes a more user-friendly interface to navigate the Ads features. Google itself has billed this new change as one of the “most powerful” alterations they’ve made to campaign management in more than 15 years. The UI will provide a simplified, streamlined look and feel that makes it easy to know what exactly you’re looking at. You see the most important information and don’t have to do much legwork to examine other data. If you used the previous AdWords dashboard, you’ll appreciate this refined, less clunky version. BIG things are happening in terms of responsive search ads! Google has really ventured into uncharted territory by offering the ability to create responsive ads with multiple headlines and descriptions that Google can use to tailor your ad to your viewer. In other words, you’re creating a pool of ad copy and Google can fish from it to craft the most relevant ad per user. It’s worth mentioning that Google isn’t randomly choosing pieces of copy and Frankensteining your final ad. Rather, it’s testing various combinations of descriptions and headlines to see which ones perform the best. This feature is currently in Beta and will likely be released within the next few months. As online search continues to dominate mobile devices, mobile speed is getting a bump in relevance. Not only do underperforming mobile landing pages get a thumbs down from Google, but they also encourage your prospects to move on to other opportunities. Google has rolled out a new Mobile Landing Page Speed Score to help you discover if your mobile experience is up to snuff. This announcement has garnered some of the most excitement. While ads have been YouTube mainstays for quite some time, Google is taking them a step up by allowing viewers to fill out lead forms without traveling directly to the target website. Top funnel prospects can opt in directly from the video without the added step of heading to your website. This is great news for marketers who create strong video content because you reduce your risk of losing your lead with poor landing page design, slow loading speed, or other factors. A user searching for resume services, job openings in a faraway city, and apartments in that city might be gearing up for a major life event. Google examines search behavior trends to determine if a user might be experiencing a major life event. Advertisers can now tap into this audience segment for better targeting. If your service or product could help someone who is at a certain stage in life, you’ll be better prepared to put your content in front of them when they most need it. Being in the digital marketing field, you’ve likely heard no end to the importance of A/B testing. This process can either be performed manually or through dedicated A/B testing programs or features. Now, Google is offering a new outlet for A/B testing that requires less work from you without sacrificing results. Google Surveys 360 allow you to create simple surveys that appear to users after clicking your advertisement. The survey is designed to solicit feedback from customers, such as what made them click on your ad. That’s right – you now have a direct connection into the mind of your users! By asking about the details or triggers that made a user click your ad, you get a more realistic idea of what people like, what’s working, and what needs to be tweaked. This little step can go a long way in ensuring you’re changing elements that are underperforming – and not altering the elements that make people click! Change is inevitable in digital marketing, but that doesn’t make it any easier to keep up with. The above alterations to Google AdWords may directly or indirectly impact your marketing strategy, and they’re only a small part of what’s to come. Our team has been closely following Google’s announced changes to stay ahead of the curve to minimize any negative impact on our clients’ digital marketing. If you’re confused about what Google is doing next or want to make sure your marketing will maximize the potential of these and other changes, we’re here to help. Reach out to Search Engine Media Group today to schedule a consultation and we’ll help you navigate the new Google Ads changes so your marketing can continue delivering the results you expect.